Download the latest points sheets from below, or link to the points page for the formula's official site. There are some formulas that are graded after each meeting and as such, their points charts will be upgraded as soon as possible after each meeting. 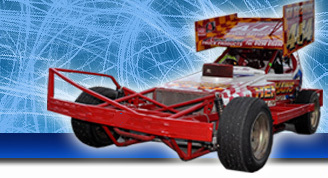 The Points charts for 2.0 Hot Rods, Stock Rods, Lightning Rods, Junior Bangers, Bangers and National Bangers will run from WORLD FINAL to WORLD FINAL, i.e they will be zeroed at the World Final and then start again. All other formulas will run for the calendar year from 1st Jan to 31st December. For those formulas involved in the I Factor meetings, points will be scored for all meetings. These points will also be part of your grading points, which will also include other meetings that are in your fixture list, so effectively the I Factor meeting will be a points chart, like a Track Championship, and then your grading points is the one with ALL of your meeting in. We haven't yet finalised just how the I Factor finals night will be run as yet, but we are working on making it a bit more special, especially for the drivers that have supported the series throughout.